We combine Auto Identification and Web technologies in an extensible on-site event support system for enhancing experience of conference organizers as well as participants. Our system enables users to authenticate themselves using RFID badges and to access interactive, Web-based services via a touchscreen PC. The developed services aim at supporting social interactions of participants, and thus validate the promising usage directions of the combination of offline social networks and the online social Web. The main hypothesis of our work is that: “A sensor based information system can truly enhance social conference experience.” Technically, we have investigated employment of Web 2.0 technologies in social, sensor and mobile technologies enabled systems at conferences and events. 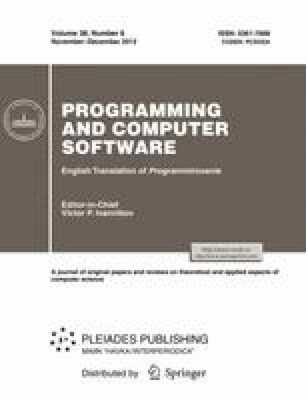 This article gives an overview of the overall system and its evaluation via a user survey and usage log data collected during the Extended Semantic Web Conference (ESWC) 2010 and similar international conferences, altogether with several hundred participants. Dawson F., and Howes, T., Card MIME Directory Profile, http://www.rfc-editor.org/info/rfc2426 (1998). Howes, T., Smith, M., and Dawson, F., A MIME Content-Type for Directory Information, http://www.rfceditor.org/info/rfc2425 (1998).